Autonomic neuropathies may occur primarily or secondarily to various underlying diseases. Autoimmune autonomic neuropathy also called autoimmune autonomic ganglionopathy is a rare acquired autoimmune neuropathy characterized by pandysautonomia, usually associated to autoantibodies to ganglionic nicotinic acetylcholine receptors found in more than 50% of cases. Neurogenic orthostatic hypotension is a major symptom of dysautonomia and may cause serious impairment in patients' quality of life. 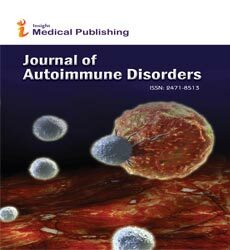 We present a case of autonomic autoimmune neuropathy in a seronegative patient for acetylcholine receptors antibodies with good recovery after treatment with IVIg, raising the issue of some forms of pure autonomic failure which can have identical phenotype, respond similarly to immunotherapy, but may be related to antibodies directed at different targets in nerve or ganglion.